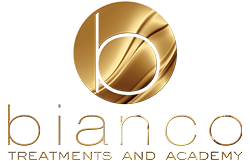 As we launch our new Bianco Beauty website, we want to welcome you personally to the site and introduce you to our full range of outstanding treatments, all at an affordable price. All of our team have many years of experience and have a passion for making you feel confident. Our Semi-permanent Makeup and Scalp Micro-pigmentation treatments are all altered towards your specific needs. Colours for the procedures are custom blended to match your exact skin tone and hair shade. All blends are tested on you before the treatment to allow you to confirm you are happy with the colour. In particular, when getting a cosmetic tattoo, we all always dab a small amount of pigment onto, for example, your hand, with a cotton bud. We try to make these treatments as painless as we can, so will apply numbing cream to the area to minimise discomfort and make it as stress-free. Of course, if you are a person who can manage pain well, you do not have to use numbing cream, we just want our clients to have the nicest experience possible with us! If you have a specific look that you are aiming for from your treatment, always feel free to bring pictures with you for guidance and ideas. Laser Tattoo Removal and Cosmetic Tattoo removal are a similar treatment; Cosmetic Tattoos usually take a little less time. We will be able to judge how many sessions you will need after your first couple of meetings, the extent to which your tattoo fades at the start is usually a good indication. After each session, we like to take a picture of your progression to monitor how the removal is going. It’s also always nice to have a before and after picture, you’d be surprised how quickly you see results! Laser Hair Removal provides long-term results, the more treatments you have, the less likely your hair will grow back. Surprisingly, most people find that laser hair removal is less painful than other everyday methods of hair removal, in particular, waxing. With every beauty business, it is a must have to provide nail services. Our nail technicians are always taking advanced courses and updating their knowledge to ensure the highest quality of services; some could say they are perfectionists. No matter the nail disaster, it can be solved with a visit to Bianco Beauty. We offer a FREE consultation with one of our experts before we start any treatment on clients. If you are in need of any of our treatments or services sound particularly appealing, be sure to head over to our treatment page to find out more or contact us!